Seven years after their daughter's murder and six years after the creation of automated victim notification technology (VINE® — The National Victim Notification Network), Pat and John Byron spearheaded the creation of the Mary Byron Project, an organization dedicated to finding innovations that save lives. The Mary Byron Project is named in honor of a woman whose time was cut short. 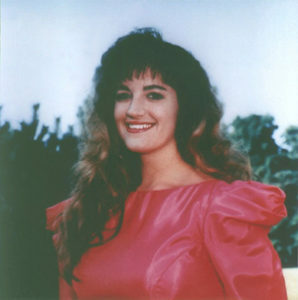 Mary had been raped, assaulted, and stalked by her former boyfriend in late 1993. He was arrested and jailed for these crimes, but someone posted his bail and he was released. There was no way for Mary to know. Exactly one year after Mary’s murder, Jefferson County, Kentucky became the first community to institute automated telephone notification for crime victims and other concerned citizens. That system is VINE® — The National Victim Notification Network, now used in thousands of communities across the nation. “If only…” Time and time again, these words are uttered across our nation. Yet, solutions are within our grasp. The Mary Byron Project was established with that quest in mind.